Experience the power of one of the world's holiest and most significant religious sites, when you visit Bethany Beyond Jordan. 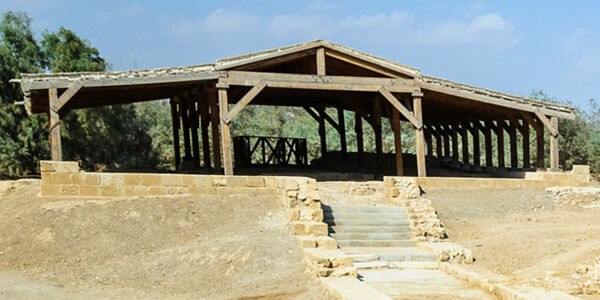 Overwhelming historical, archaeological and biblical evidence has led religious leaders throughout the world to recognize this place as the authentic site of Jesus' baptism. See over 20 excavated churches, caves and baptismal pools dating back to the Roman and Byzantine periods and discover a religious and archaeological wonder unlike anything you've ever seen. How much walking is involved during a tour? The tour involves a walk of about 2.5km, which takes about one hour at a leisurely pace. It starts at the Visitor Centre to Tell Mar Elias, then along the south bank of the Wadi Kharrar. Can we bring water? Or can we purchase water on site? The touring staff recommends that visitors bring a hat, sunscreen and a container of water, along with enough funds to pay the admission price. This the lowest point on earth and kand is desolate and dry and the climate challenging. There are shops selling refreshments on the site.